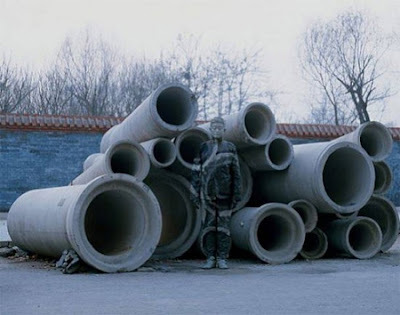 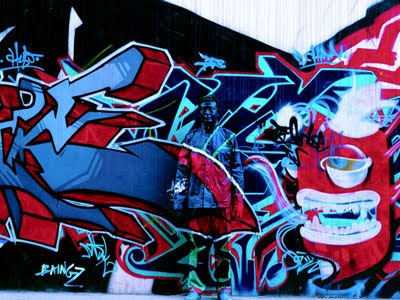 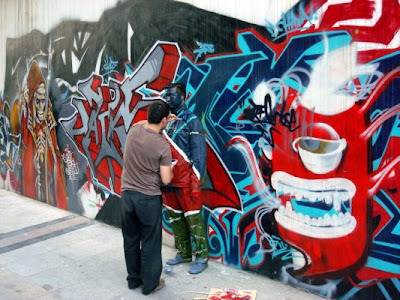 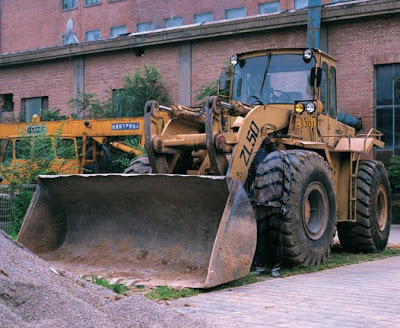 Liu Bolin is an amazing Chinese artist who specializes in "camouflage" art. 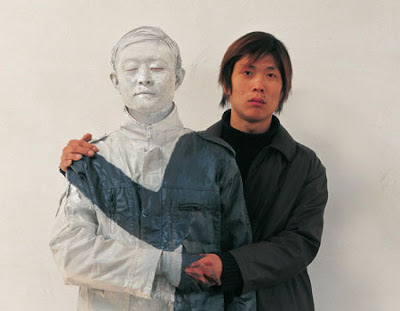 He paints people so that they become seemingly invisible or transparent. 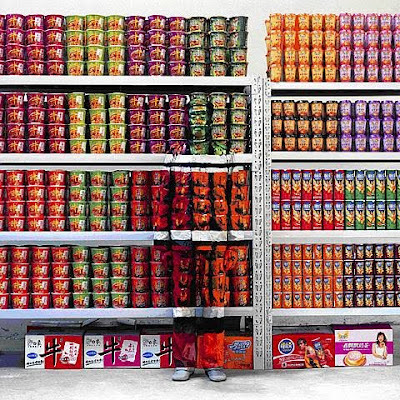 The second picture below is so amazing that I had to study it to see the person in it.